With ties to the Wild West, Denver was a boomtown beginning as a mining camp and flourishing now as a modern-day, culturally diverse metropolitan area. Its growing population traverses the city which sits at the base of the Rocky Mountains. Covering much of its urban and residential sidewalks, patios, and promenades is stamped concrete, the most versatile of surfaces for a destination city rich in ranching and rustic lifestyles, and modern appeal. Because of the high plains and mountainous regions surrounding Denver, the most popular styles of stamped concrete usually include ashlar slate, seamless slate, and random stone. Each of these patterns complements rustic-themed environments without drawing attention away from the natural landscape. Popular colors include terra cotta, tan, and dark brown. The fractured stone look of this pattern is ideal with rustic or ranch style architecture. 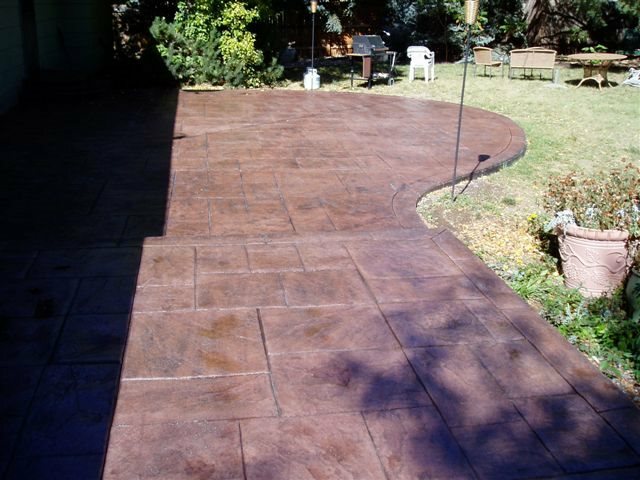 In Denver and around the country, stamped concrete is used in a variety of both indoor and outdoor areas. 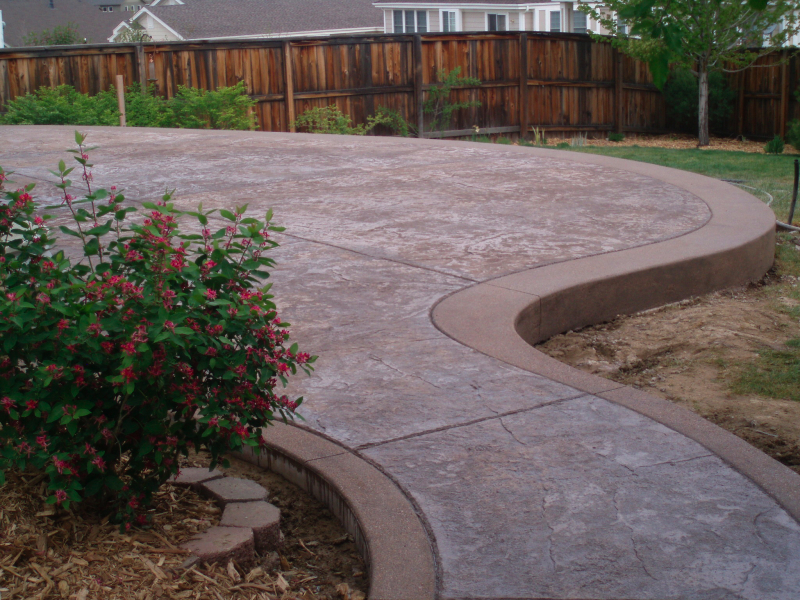 The most popular applications are for walkways, sidewalks, patios, pool decks, driveways, and entryways. Stamped concrete adds texture and pattern to poured concrete, and therefore has a number of advantages over other materials such as pavers or natural stone. 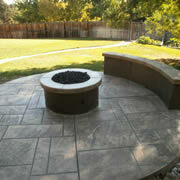 Stamped concrete is more customizable. 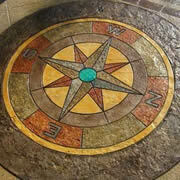 It can be colored in a variety of colors, such as the compass (pictured) installed by Table Mountain Creative Concrete in Golden, Colo. And it is not limited to a selection of patterns. 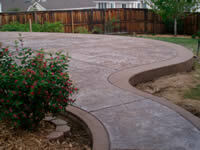 Stamped concrete can be textured, patterned, and saw cut into almost any design imaginable. 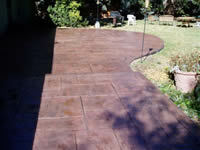 Compared to pavers or natural stone such as flagstone, etc., stamped concrete is more durable and longer-lasting. While pavers and natural stone will require resetting or replacement over time, stamped concrete is a solid, natural-looking surface that requires little maintenance. 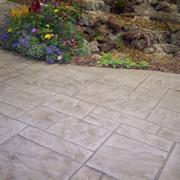 Stamped concrete also has less tripping hazards, which can become a concern with unsettled pavers or stones. Learn more about stamped concrete in this stamped concrete infographic.